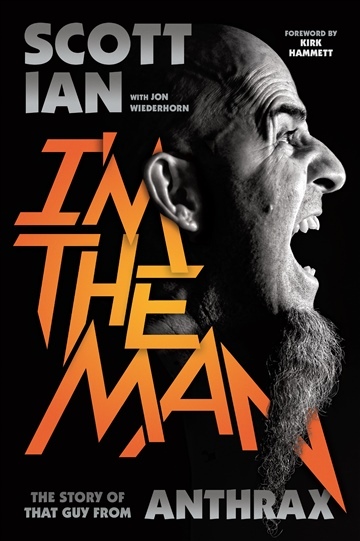 I’m the Man is the fast-paced, humorous, and revealing memoir from the man who cofounded Anthrax, the band that proved to the masses that brutality and fun didn’t have to be mutually exclusive. Through various lineup shifts, label snafus, rock ’n’ roll mayhem, and unforeseen circumstances galore, Scott Ian has approached life and music with a smile, viewing the band with deadly seriousness while recognizing the ridiculousness of the entertainment industry. Always performing with abundant energy that revealed his passion for his craft, Ian has never let the gravity of being a rock star go to his shaven, goateed head. In I'm the Man, Ian sets down the details of his fateful escape into the turbulent world of heavy metal. And of course he lays bare the complete history of Anthrax—from band’s formation to their present-day reinvigoration—as they wrote and recorded thrash classics like Spreading the Disease, Among the Living, and the top-twenty-charting State of Euphoria. Along the way, Ian recounts harrowing, hysterical tales from his long tour of duty in the world of hard rock. I’m the Man is a blistering hard rock memoir, one that is astonishing in its candor and deftly told by the man who’s kept the institution of Anthrax alive for more than thirty years. Scott Ian is cofounder, guitarist, and chief lyricist of Anthrax and Stormtroopers of Death. He is a Yankees fan and lives with his wife and son outside Los Angeles, California.